On the final night of the series with blue skies and a difficult cross wind for the first half of the evening the Champion of Champion series concluded and it was Marshall Neill with a 100% record in his class who came out 'UTV CHAMPION OF CHAMPIONS'. Another superb evening's racing with Marshall Neill coming out on top, but my man of the meeting was young Michael Laverty who won four from four tonight. 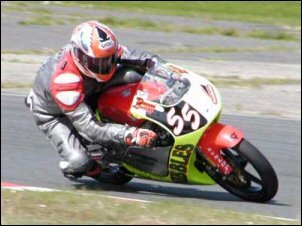 Two 125 races and two 1010cc class races. 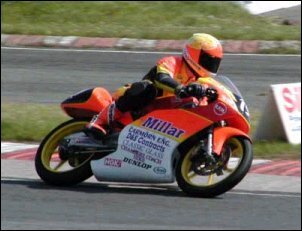 In the 125 races he was working really hard for his victories, while in the 1010cc class on the Millar 500 Honda he ran away with the race win - I am sure there is more to come from this 20 year old. 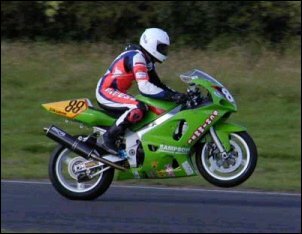 In the 600 class it was yet again Britton and Nutt who shared the spoils, with the two races being yet again the races of the evening. One rider I must mention at this stage is James Courtney. It is great to see James up running at the front again. Tonight who two excellent third Places James is looking fitter and more determined that ever and I am sure it is only a matter of time before he can claim the top spot on the big Ducati. What tremendous racing there was over the 32 races and four shoot-outs over the four evenings. Congratulation must go to UTV, Billy Nutt and all the rest of the people involved in the running of the series. Also congratulations to Marshall Neill on coming out on top, and to the rest of the riders.